I love this time year don't you? 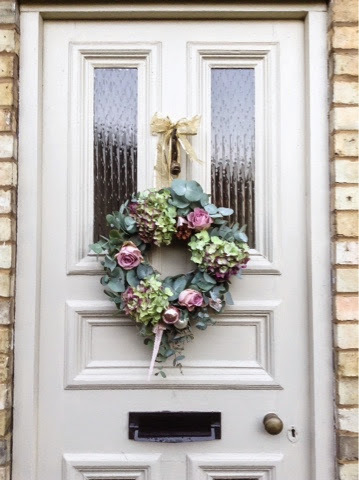 Making a wreath for my door is one of my favourite things to do, I love getting the house prettily dressed for Christmas. 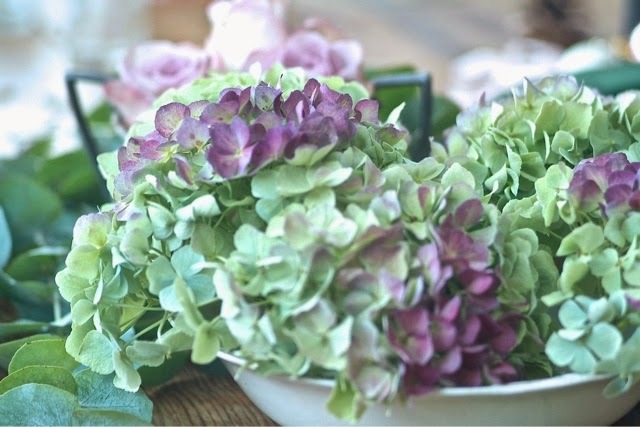 I thought I'd share with you my top tips for making a floral wreath. 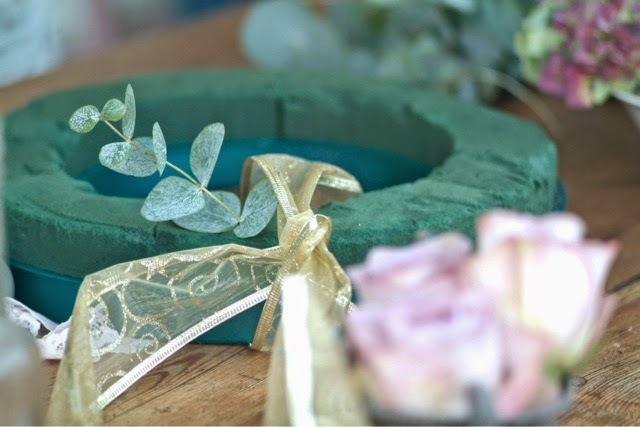 You will need an oasis ring, scissors, wire, ribbon for hanging, foliage and a choice of blooms. 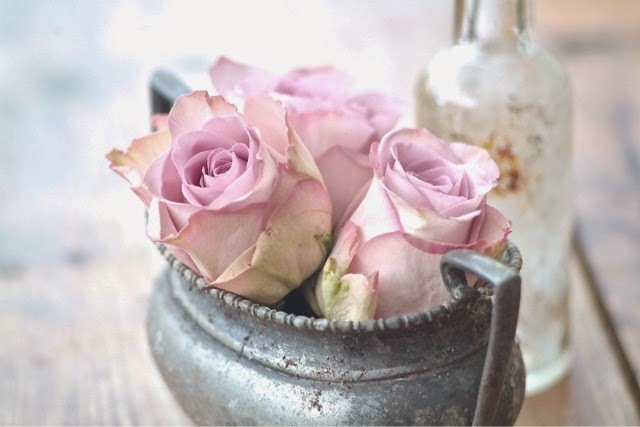 To help you choose a colour scheme try taking some paint charts out to your door to see what colours work well, you can then take this to the florist. The evening before, soak your wreath by submerging it in water over night. 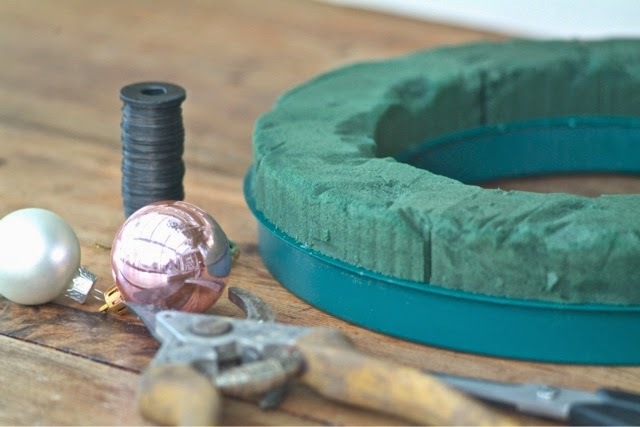 Also if you want to add in ornaments such as cones, bows and brooches (whatever takes your fancy) wire these up so that you can secure them to your wreath. Cut foliage and blooms to size, you will need to trim to a point and remove lower leaves, you will need about 2 inches to go into your oasis. Top tip... 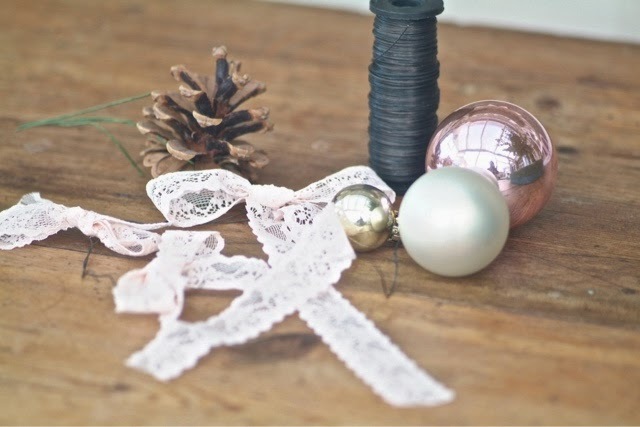 Loosely wrap the ribbon and start by adding the foliage underneath it so as to give it maximum support. 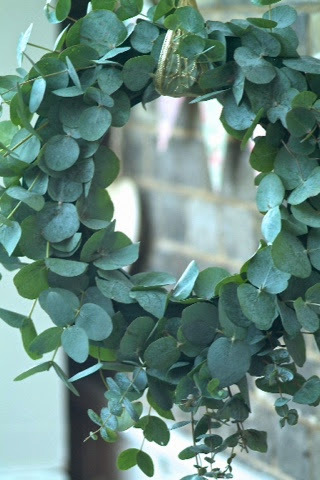 Cover your wreath with foliage working all the way round till it is full. Hold it up to check its balance and make sure there are no gaps. Now you can add your blooms. I've gone for roses and hydrangeas, and I like to work in odd numbers so I've picked 3 of each. Space them around your wreath. Lastly add any bows or ornaments with the wire. It's that easy! Spray to keep fresh. Top tip... Roses love to be outside in a wreath at this time of year and can last up to a month, if flowers do droop simply replace with fresh ones.